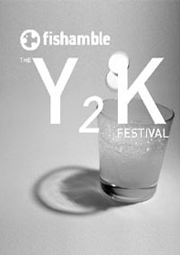 Fishamble celebrates its commitment to exciting new work by presenting a season of new plays for the new millennium. Following a contact ad in a magazine, a man and woman enter into a sexual adventure of role-playing and risk-taking in a hotel bedroom where the lines between fantasy, memory, reality and guilt become dangerously intertwined. Under an orangemarchmoon, two women face the future by exploring apocalyptic moments from the past. As the New Year approaches, Malachy reveals some disturbing secrets about the Pope, the Virgin Mary and the new millennium. A computer-generated heroine embarks on a new adventure as she comes to terms with the precarious nature of her existence. A young woman accepts a lucrative job minding an old lady for the millennium but ends up getting more than she bargained for!